My name is Ashley Buyer, my husband Tyson and I purchased a Sunridge home this past winter and it was delivered in May. We had an excellent experience with Sunridge. It stared with Marie who worked with us to create the custom home we were looking for. She helped us modify floor plans and and came up with creative ideas to make the most of our space. We live 2 hours from Brandon and we were so impressed with the level of communication and the ability to do so much over email and phone! When it came time for delivery of our home the crew really went above and beyond for us. We established our yard from a bare quarter of land earlier this spring and when the house came there was just a shop and a clay pad. Unfortunately Mother Nature dumped 2 inches of rain on us, 2 days before the house was scheduled to come. It was a muddy mess. We were worried about the house being delayed or worse it getting stuck in the yard. The delivery day was wet and cold! The house ended up getting high centered in our driveway and our tractor needed to help tow the house into place. After a very long day with a lot of extra help from the delivery crew we were in the house! Sunridge has treated us with the highest level of customer service and we are thrilled with our home. 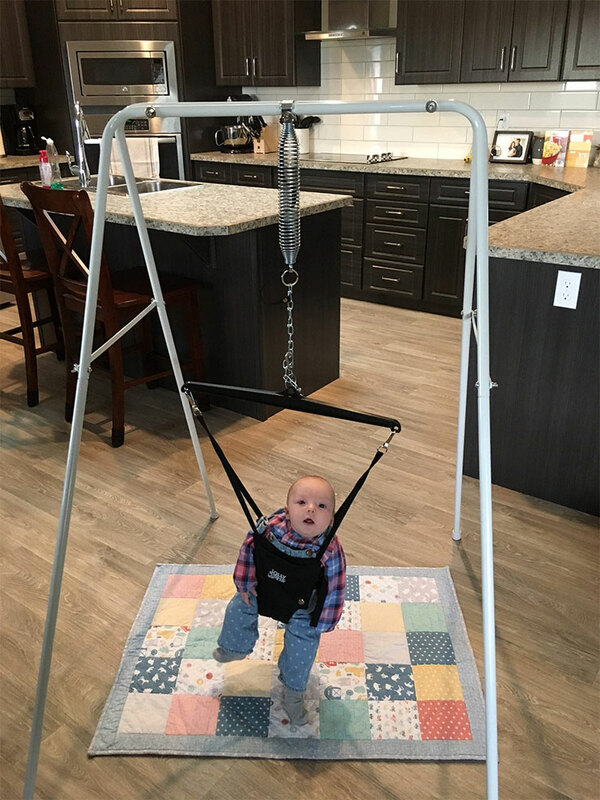 Below is a picture of our new baby daughter loving her jolly jumper in our Sunridge home.